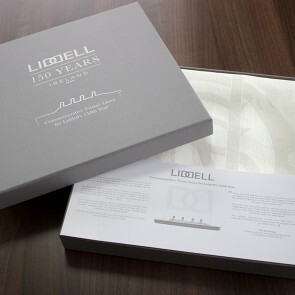 Titanic themed products are popular which is why textiles giant Vision Support Services decided to go all in with their replica Titanic linens they recently unveiled in their Liddell product range. This range is based upon the patterns used by William Ewart & Son Ltd that supplied Oceanic Steam Navigation Company with linens for all their ships which included RMS Titanic. The company merged later with rival William Liddell and Co. to become Ewart Liddell & Co. Vision went to great effort to authenticate the linens by researching records and working with historian and author Tom McCluskie. McCluskie, according to one news report, was thrilled Vision went all out to faithfully reproduce the linens using the same pattern back then. “This strict attention to authentic and historical detail presents the purchaser with a window into time of a bygone age of elegance and luxury,” notes McCluskie. The linens are only available a short time.